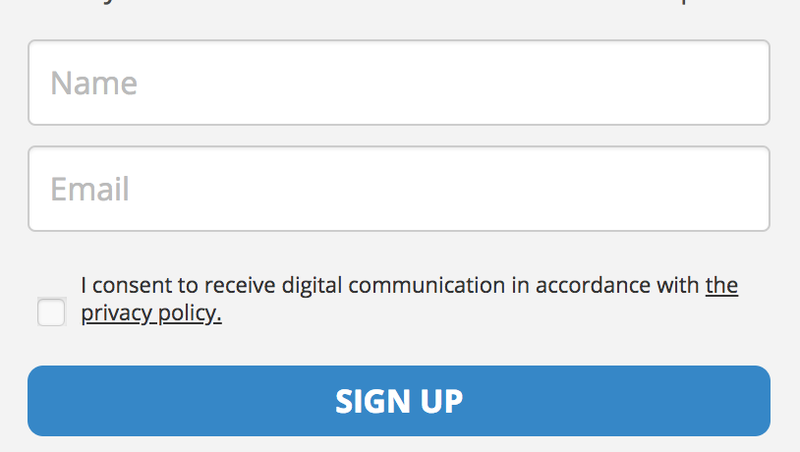 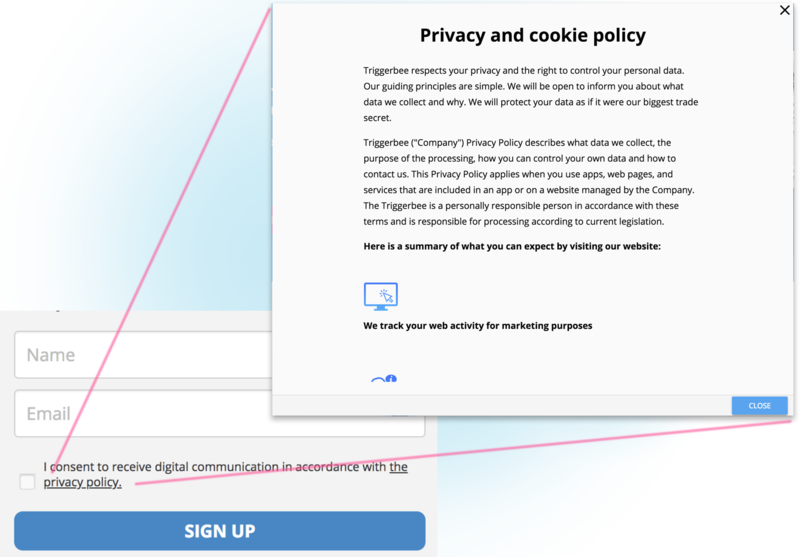 contextTitle = the context for consent, for example "Sign up newsletter with 25% discount" or "Purchase". 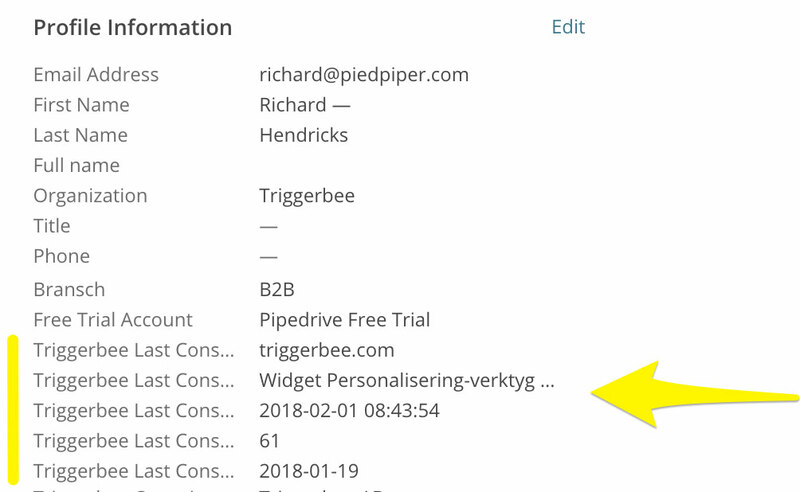 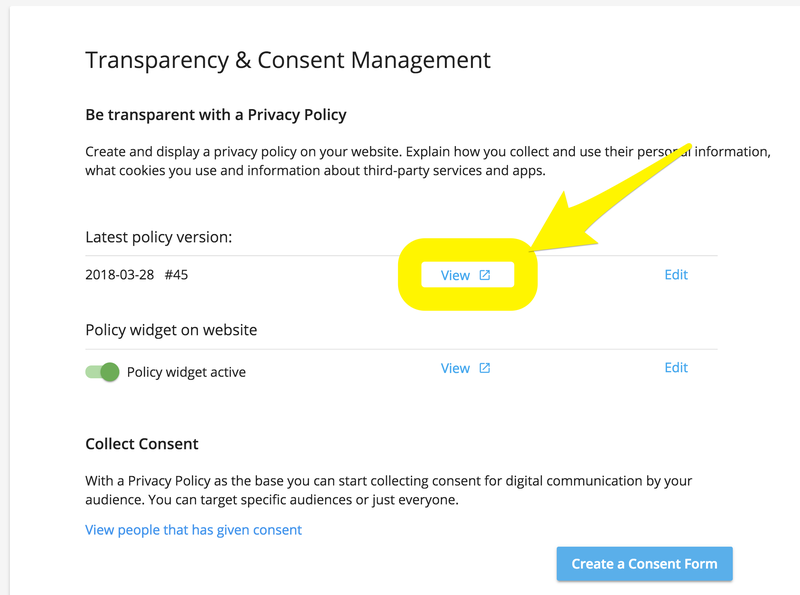 To verify that Consent is being logged you log into Triggerbee and open up the "Consent" view and click on "View people that has given consent". 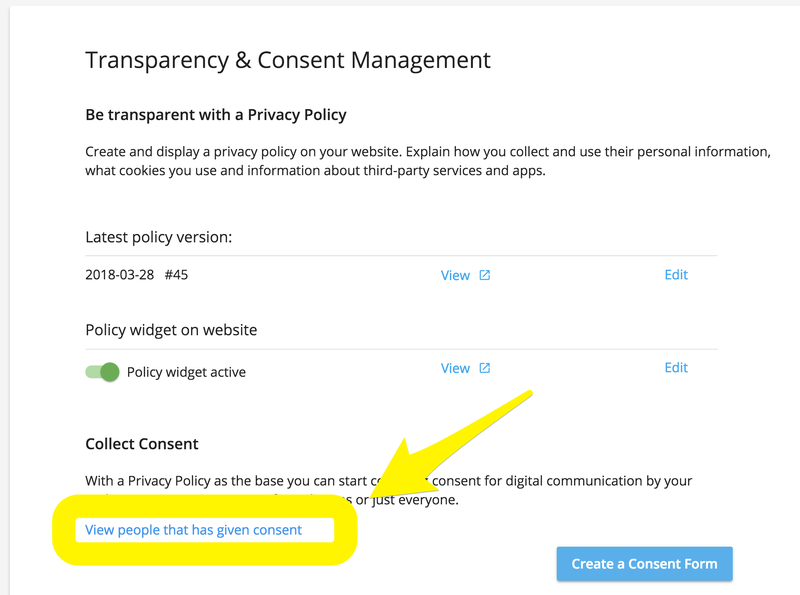 If you've set up property synch with your email provider, then the Consent fields will be updated during the night. 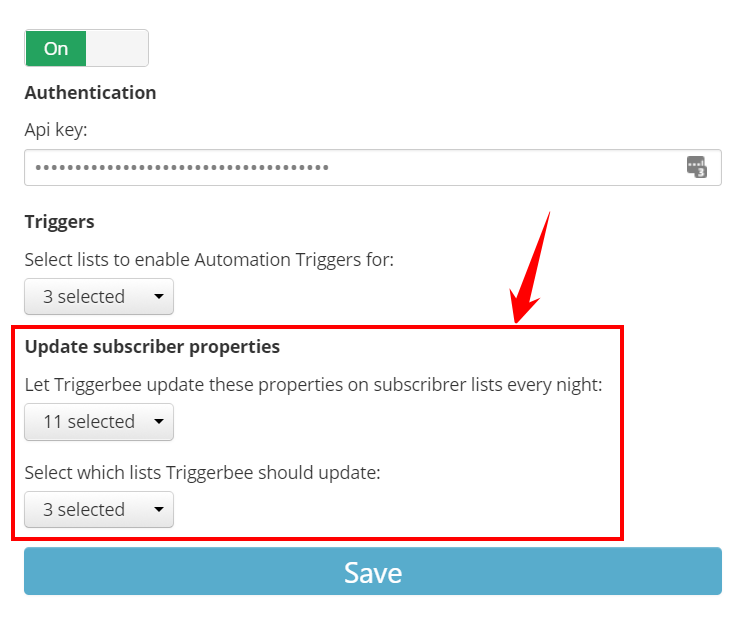 Wait a day or two and then login and verify that the new subscribers have Consent Fields created by Triggerbee.